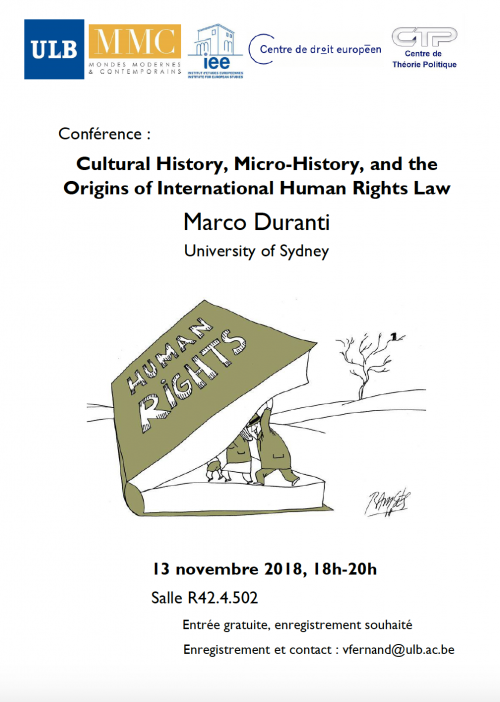 On 13 November, Marco Duranti will present its book “Cultural History, Micro-History, and the Origins of International Human Rights Law” at the Centre. Radically reinterprets how and why European conservatives advanced a postwar human rights system, arguing that they were motivated by a desire to limit the creation of policies they believed would violate their basic liberties, above all in Britain and France. Challenges the conventional view that human rights efforts have universally reflected a “leftist” post-fascist agenda. Traces the role that culture, ethics, and memory played in the genesis of international law and organizations between 1899 and 1959. Offers a new perspective on Winston Churchill’s understanding of European integration and European identity, as well as his involvement in the origins of the European Convention on Human Rights (ECHR) and European Court of Human Rights. Provides essential historical context for political crises currently affecting the European Union and European Court of Human Rights by demonstrating the conservative roots of both. Draws on previously unpublished material from twenty archives in six countries.